The main purpose of report is to focus on the marketing plan for a new product named Kool Body Soap. Marketing plan is such kind of task that is dependent more on projections and creativity and yes it involves lot of effort to reach your goals. By making this report student will be able to reach to the in-depth of marketing plan that can to identify their lacking and this will be helpful for their potential career. Square Toiletries Limited (STL) is the leading Bangladeshi manufacturer of toiletries and cosmetics products operating with over 50 international quality products. STL started its challenging journey with branded coconut oil under the brand “Jui” in 1988. Currently STL, an ISO 9001:200 certified company, is operating with the trust of Bangladeshi consumers with 16 famous brands. Production of STL products is carried out at its two automated plants in Rupshi and Pabna. While the Toilet Soaps and Feminine Hygiene products are manufactured at Rupshi, all other products are manufactured in the Pabna Factory. The Best quality raw materials from world renowned suppliers like Dragoco, Firmenich, Givadaun, Clariant, Cognis, ISS etc. give an added value to the STL’s product quality. STL always adopts international standard production processes by following the Good Manufacturing Practice (GMP). As part of its corporate social responsibility STL stands behind the acid victims, works with ICDDRB & Obstetrical and Gynecological Society of Bangladesh (OGSB) for reducing post-partum hemorrhage and also have engaged itself in other welfare activities. STL also stands behind the development of sports and culture in Bangladesh. Mission of Square Toiletries Ltd.
To satisfy the needs of domestic & international consumers through innovative quality products & services using latest technology and by highly motivated skilled employees. Quality Policy of Square Toiletries Ltd.
Strive to continuously upgrade manufacturing technology and to maintain optimum level of quality measures in conformity with the international standard – ISO 9001: 2000. Square Toiletries Ltd (STL), the no.1 local toiletries company in Bangladesh, is going to introduce Kool Body Soap, the first local body soap in Bangladesh only made for men. Kool is the first ever Bangladeshi brands with complete shaving solution, such as: Kool After Shave Balsam, Kool After Shave Gel, Kool Blue Deodorant Body Spray, Kool Shaving Cream (Frosty), Kool Shaving Cream (Monsoon). Supreme quality and trendy attributes of the all products make the brand unique among others. It provides what men really deserve. In recent years, toiletries and cosmetics companies of Bangladesh are concentrating more on gender segmentation, like Unilever’s fairness cream MenzActive, Emami’s Fair & Handsome. But still no company has introduced any soap only made for men. Though Square is producing beauty soap, named Meril Splash, under Meril brand which is already an established and famous brand in toiletries market and has stronger brand loyalty to customer than Kool brand, following to other toiletries companies’ Strategies Square will not use any feminine brand name to launch its new soap. As still Kool is the only local gents brand in Bangladesh, so Square Toiletries Ltd. has made plan to launch a new gents body soap named Kool Body Soap with three different fragrances, which will offer itself to have a monopoly business as there is no local body soap specially made for man. Kool Body Soap is made from 100% vegetable oil with 76% TFM (Total Fatty Matter). Kool Body Soap produces ample amount of foam that easily reaches at the oil pores and cleans gently. To give maximum satisfaction to individual consumer, each variant contains different and attractive fragrance. STL introduces 3 variants for different skin types and both 3 types of soaps are specially made following the skin type Bangladeshi men and will work as the deodorant and protect from the bad smell of sweating. The available SKU is 90 gm. The TK. 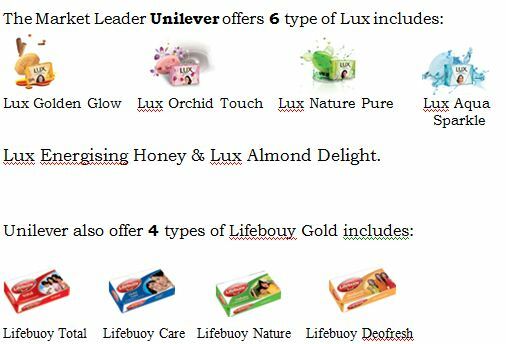 6.5 billion soap market of Bangladesh is dominated by Unilever’s Lux and Lifebouy Gold. Square’s Meril Splash beauty soap occupies approximately about 10% of the market share. Main consumers are SEC people or Socio economic class people (especially upper middle, middle and lower middle). Analysts predict that with in few years the industry will move on to the gender segmentation. Other available beauty soaps are Keya, Aromatic Gold, Lily etc. Some imported foreign men soaps are also available, such as: Fa, Gucci etc but they are too much high priced and only affordable for upper and upper middle class. As there is no men soap available in the market from the local companies, so many men prefer those beuty soaps for their bath. It’s a great opportunity for Square to have a monopoly business by targeting this gender segment of the soap market. Today’s men are much more skin conscious than their early generations. They want such type of product which takes care of their skin as men skin texture is totally different from women. 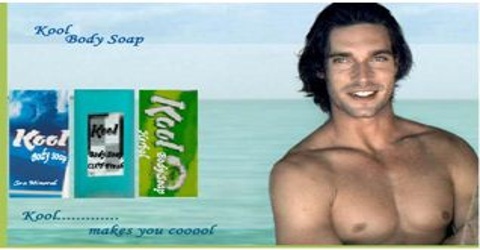 Kool Body Soap gives a man a perfect solution for bath. Its color, fragrances, shape, ingrediants are different from the existing bar soaps. It has 3 variants for different skin types, it works as the deodorant and protect from bad smell of sweating and its price is affordable for its target customer. In recent years male consumers are showing more interest in skin care and they are demanding more products appropriate for men skin type. As no gents body soap is available in the market produced by the toiletries companies of Bangladesh, except some imported foreign gents soaps those are too much high in price, so Kool Body Soap will be known as the First local body soap only made for men and STL will have a great chance to do monopoly business in this segment. Raw materials are easily available in the current market (such as: Bay of Bengal is the largest source for the ingredients of Sea mineral soap). Other competitors may introduce new body soap for men with different fragrances and high quality. Existing beauty soaps (such as: Lux) or imported foreign soaps for men may disturb the growth rate of this new product. Consumers may have the doubt about the quality of this new product. Square Toiletries Limited (STL) is an ISO 9001: 2000 certified Company. Largest local Toiletries & Cosmetics Company. Quality compliance with Middle East, Asia, Europe and some other country. Square occupies one of the largest distribution channels in Bangladesh. Price of the product is less than other foreign gents’ soap. Lack ness of research data to improve the product features, like quality, shape, color, fragrances etc. The brand name of Kool is not much stronger compare to potential competitor’s brands. As it is the first gents’ body soap in Bangladesh, there is no specific competitor. Any major attacks may come from any potential competitor. So Square has the lack ness of information about its potential competitors. Will Kool Body Soap be able to gain the large market share of current soap industry in Bangladesh? Will Kool Body Soap be able to attract its target consumers or to earn its target consumers’ loyalty by its quality and other features? Can Square produce this new product effectively and efficiently with its existing resources? Should Square increase its expenditure for marketing research and product development? Does Square has the ability to draw an effective strategy for its potential competitors? Should Square design a new promotional strategy to increase the brand awareness of Kool? Should Square stay with existing distribution channel or add a new one with the existing one? Can it do it and yet retain the loyalty of its current channel partners? Earn an annual rate of return on investment over the next 3 years of 20% after tax. Generate net profit of Tk.30 million in 2008. Produce an annual turnover of Tk.150 million in 2008. Achieving total sales revenue of Tk.150 million in 2008 which represents 2.308% of the total market share. Therefore, we must achieve a sales volume of 6,000,000 units. Increasing second-year share to 5%, based on the sales of three types of soaps. Creating 30% brand awareness with in the target consumers by the end of this year. Directly distributing the soaps to the large super stores in Dhaka and Chittagong cities by taking rent of products’ shelf. Location : Urban areas, Metropolitan cities and main district towns. Our target consumers for Kool Body Soap are men from upper middle and middle classes of urban areas those are conscious about their skin care and have the intention to expense for it. They are much more conscious about brands as well as sensitive to the products’ price. Men those are students, new job holders are included to this categories. Most of them also have the intention to buy new things if it has the distinctive features. 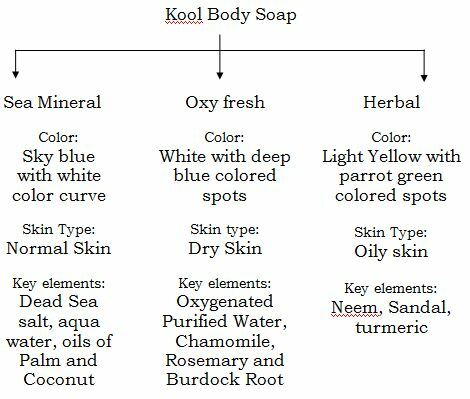 As Kool Body Soap is the first men body soap in Bangladesh and as it has three different variants for different skin type, so we have targeted this group for our new product. The ingredients, color, shape, packaging and price are distinctive from other bar soaps available in the market. Thus we can imagine that our target customer will take this product positively. Three different types of soaps are available: Sea Mineral, OxyFresh and Herbal for different skin types. The available SKU is 90 gm. It is for the normal skin type, gives the freshness of bath like in sea. The Dead sea salt clean the dead cells of skins and the oils of palm and coconut trees keep the skin moisture balanced. The fragrance of Aqua gives the essence what a man wants. It is appropriate for the men who suffer for the dry skin. Kool Oxy Fresh cleans the dust of pores and helps to enter oxygen in skin texture. It protects skin structure by preventing the dryness. Chamomile, Rosemary and Burdock Root gives the manly fragrance to enhance ones personality. Neem, Sandal and Turmeric gives the real feeling of herbal bath. It is specially made for the oily skin. Neem’s natural power is effective against germs and it helps to combat perspiration Odor and Turmeric and Sandal keeps the skin clean and healthy, maintains oil balance and makes the skin fair and glowing. In the first year of production, we have set an average price of Tk.25 for the available SKU of 90 gm. As it is the first men soap in the soap market of Bangladesh, so we have set a little bit higher price. By observing target consumer feedback, the price will be less down later. The product will be distributed by using the large distribution channel of Square. We will offer different reward packages to those distributors, like: cash bonus, increasing commission rate etc. so that they influence themselves to distribute this product properly for making the promotional activities successful. We will start our advertising campaign from Dhaka International Trade Show, 2008. News paper and TV ads will start on the same time. For increasing the brand awareness we will arrange music concert, quiz contest, model hunt contest, free advising campaign for skin care etc. For social publicity we have decided to sponsor the National Tree Plantation Campaign, 08 under Kool brand. For the successful completion of all these tasks, we have made a budget of Tk.17.5 million in this year and hope to increase the amount by 30% for the next year. We have made plan to measure the brand awareness before, during and after the marketing campaigns. We will increase our budget by 5% to know about the potential competitors of our new product. For creating more customer satisfaction, we will give more effort to develop better styling of the product and for this the budget for knowing the consumer decision process will be increased by 10%. January: The journey of Kool Body Soap will start by participating in Dhaka International Trade Show, 08. At the same time news paper and TV ads will also be given. Billboards will also be established in important cities, like: Dhaka, Chittagong, Rajshahi, Bogra, Sylhet, khulna It will continue to February to be completed. In February, a special reader corner will be opened in Amor Ekushey Boimela, 08 to enhance the promotion of Kool Body Soap. A music concert will also be held in 14 February, 08 to observe the occasion of “Valentines Day”. Md. Siragis Salekin will be in charge for managing these tasks at a planned cost of Tk.2.5million. May: Reward packages will be announced for the distributors and retailers. Different types of gift items with the logo of Kool Body Soap, like: T-shirts, calendar, hand watch, umbrella, key ring, souvenir etc will be given to them to implement the marketing strategy successfully. Mr. Bapon Kumar Roy will be responsible for these activities at a planned cost of Tk.8 million. July: In this month, National Tree Plantation Campaign, 08 will be sponsored by Kool brand to create the social publicity among people. By using the name of Kool Body Soap 100,000 tree plants will be distributed to people to make them aware about importance of tree in our life. Mr. Amirul Alom will manage the project at planned budget of Tk.5 million and it will continue to the end of the August. What are the existing products of Kool brand of Square Toiletries Ltd.? How Square Toiletries Ltd. distributes its existing products of Kool brand? Which features or factors are important to Square while launching a new product? If any new product of Square fails to capture the target market, what steps they take to overcome that? What types of promotional activities Square follows to launch a new product? What kind of departmentalization Square Toiletries Ltd. follows?